In the recent years, TV has become more than a mere source of information, evolving into impressive entertainment devices. With the help of a number of Gadgets Available for TV, you can now upgrade and enhance your TV viewing experience and take it to an altogether different level. With so many channels to watch and so many videos to stream, you can no longer get bored with your TV. Your Television can now become your own home theater system or your computer with a Web Browser; the functions of TVs today are unlimited. All this is made possible due to the myriad of gadgets available in the market! Here are the Top Best 10 Gadgets Available for TV that can makes your TV viewing experience completely different for you. 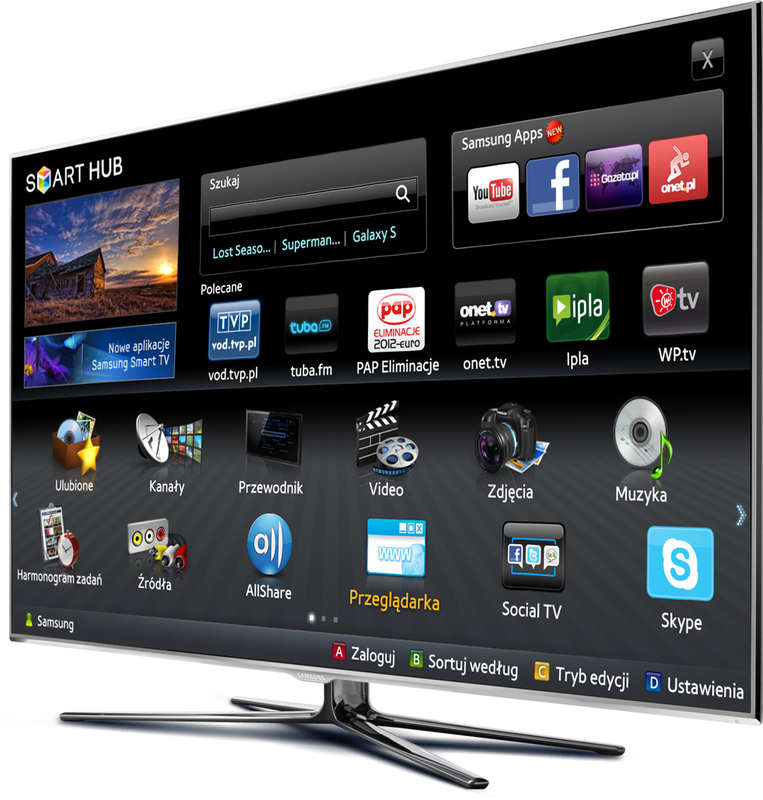 Smart TVs are among the top gadgets available in the market today that are changing the traditional way of watching TV. Combining together the access and power of the Internet and a larger interface of television screen, it allows you to watch anything you want on the TV conveniently. You can now run your Internet browsers on your TV, which makes your TV not only entertainment equipment but also a means to handle your work at the same time. Universal Remote Controls allow you to control not only your TV, but other equipment in your house too. With a universal remote control, you can manage any TV set disregarding its manufacturer or model quite conveniently. With a universal control, you don’t have to go around changing the settings of your heating system when you are in the middle of watching your favorite movie; the remote can do it for you! Depending on the type of TV you have at your house, there are now different types of speakers available that not only provide you with a much better sound quality, but take the experience to another level. Considered to be one of the top gadgets today, TV speakers are a must-have in your house. With TV decoders, you can watch what you want on a high-quality digital level and also control what your kids are watching on your TV. You can record the shows you want, keep a check on what was viewed and create a viewing environment that is suitable for your house. 3D enabled Blu-ray players are also one of the most popular gadgets today. With USB ports and sometimes in-built Wi-Fi, these players allow you to watch the latest 3D movies at your house that you have stored in a flash drive, have found over the Internet or have bought a DVD for. With this gadget at your house, you can have some quality time with your family right at your home. Media streaming boxes allow you to search for videos available online and watch them on your TV. Giving you access to a large variety of online videos, it is one of the most favorite TV gadgets today. You can also connect them to your PC and watch videos stored on your TV screen conveniently. Games are no longer restricted to computers only. With a gaming console at your house, you can play the latest game on your TV with the highest graphics and video quality. Adding an element of fun and thrill to your TV viewing experience, these gaming consoles have been quite popular over the years. These cables that connect your TV with your computer are another way to upgrade your television. They allow you to connect your computer with the TV and watch all the files saved on your computer on your TV. With cinema projectors, you can watch any of your favorite movies at your house in the highest picture resolution and the best sound quality, which can be much better than your HD TV. So, for those who like to watch a lot of movies at the cinema, this is the perfect gadget to enjoy the same level of fun right at your home! A number of portable devices and apps allow you to watch TV on your smartphones or tablets. With these devices, you can watch your favorite TV shows on the go, making them highly popular gadgets in today’s world. A popular new Spanish satellite network is Univision Deportes which can also be watched by people over some portable TV devices. Adding above gadgets to your house or at office can bring a drastic change in the way you watch TV. No longer do you have to stay confined to just the channels your cable provider supplies you; you can watch whatever you want, whenever you feel like watching it. With these few gadgets, you and your family can enjoy your TV like never before.